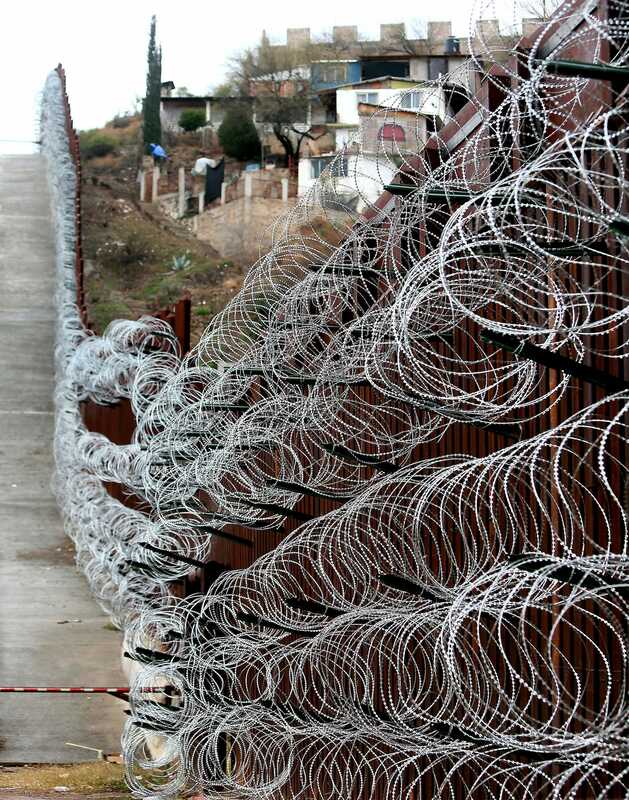 A city on the US-Mexico border said it will sue the Trump administration if it does not remove the razor wire that now covers the 20-foot border wall in the town. 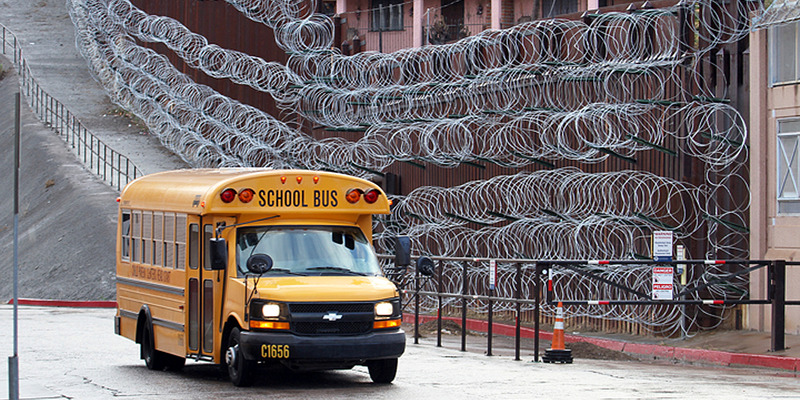 The city council in Nogales, Arizona, called the wire an “indiscriminate use of lethal force by the federal government” that only belongs in a war zone or a prison. The council said the wire, which covers the US side of the border and faces inwards, threatens the safety of people who live in the city, as well as people who try to climb over the wall. US installed some wire in late 2018, but expanded it significantly this month. The wire now covers the entire height of the wall, which is around 20 feet tall. 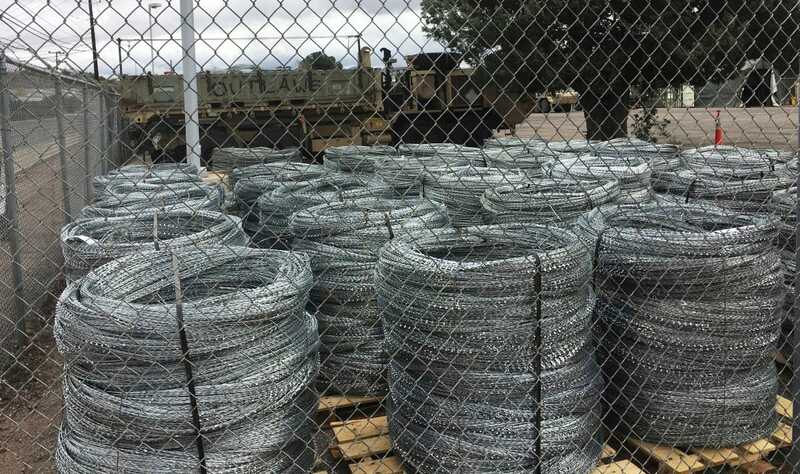 The mayor of an Arizona border city has threatened to sue the Trump administration if miles razor wire installed by US troops along a border wall with Mexico are not removed. He criticized the federal government for adding additional wire in the past week so that it now reaches “all the way down to the ground,” covering the full height of the wall, which stands some 20 feet tall. The city council passed a resolution Wednesday night that condemned the installation of the razor wire, which covers the wall in the city’s downtown area and described it as life-threatening. Photos from the city show six rows of the wire cover the wall, which is between 18 and 20 feet (5.5 and 6 meters) high, according to the council. Around five miles of the US-Mexico border falls within the Nogales city limits. It is not clear whether the entirety of the border is covered by the wall and razor wire. The resolution passed by the council describes the wire as an “indiscriminate use of lethal force by the federal government” that could harm or kill anyone who tries to scale the wall. The council also warned that the wire could harm the city’s residents. The council also noted that “on any given day there are hundreds of law-abiding citizens from both countries crossing the border and live alongside the border,” and that having such wire harms life in the city and the local economy. The wire was first erected in the town in November 2018, according to the council. But soldiers began to install additional wire on February 1, so that the wire reached all the way down to the ground. The council has now asked the federal government to take “immediate action” to remove all of the wire from the city’s limits. Customs and Border Protection said in a statement on Wednesday night that the extra wire was installed after it received a request for additional support for “high-risk urban areas commonly exploited by criminal smuggling organizations,” the Associated Press reported. Nogales City Council’s vote came one day after President Donald Trump reiterated his belief that the US needs a border wall during his State of the Union address. 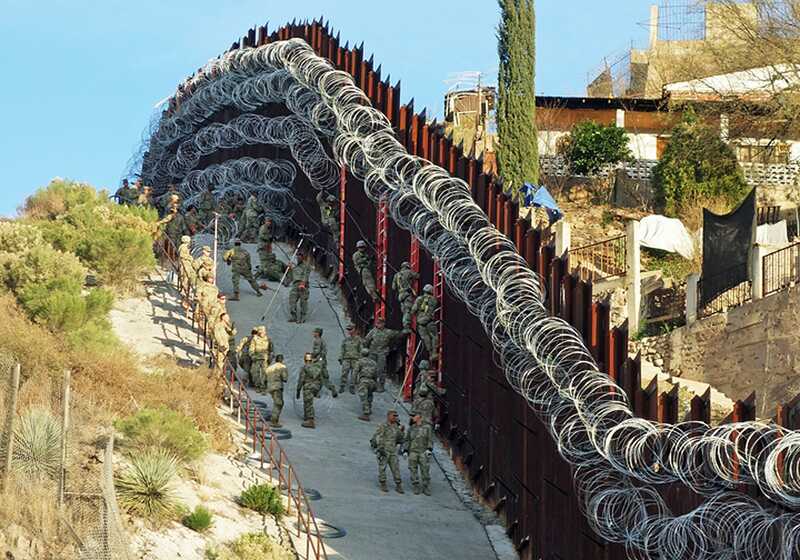 A few days earlier, the Pentagon said it will send 3,750 more troops to and put up another 150 miles of concertina wire at the US-Mexico border.